From 1 July 2013, under the Construction Products Regulation 20111 (CPR), it will become mandatory for manufacturers to provide a declaration of performance and apply CE marking to any of their construction products covered by a harmonised European standard (hEN) or conforming to a European Technical Assessment (ETA). CE marking is voluntary for products not covered or not fully covered by a harmonised European standard. Following a product retesting programme with Ceram Research, from 1st July 2013 all BPC products covered by a harmonised European standard will carry a CE mark and declaration of conformity/ performance will be available where applicable on request. The nature of cutting metal, as required by the manufacture of many of our products, may result in sharp or burred edges. Users should exercise care in handling, using protective gloves, clothing and eye protection as appropriate. The banding used to contain certain products, is, by necessity, under tension. Care must be taken when cutting such banding in respect of "Flying Ends" particularly by the banding but also by the products contained which may move when bands are cut. Similarly, the cardboard or polythene packaging or wrapping in which certain products are supplied is intended to merely contain the products, but do not offer protection against the protrusion of sharp edges. Steel containing different combinations of chemical elements, a Data Sheet is available on request. Chemically stable except under conditions of extreme heat, generally melting point in excess of 1400°C. Material reacts with strong acids to form hydrogen, otherwise inert in terms of fire or explosion. In its normal processed state stainless steel represents no health hazards (with the exception of sharp or burred edges as previously mentioned). However, treatment such as welding, burning, grinding or machining, can result in fumes or the production of airborne particles. The main method of ingestion of such contaminants is by inhalation, which should be avoided by ventilation or local extraction, exposure limits (ref. H.S.E. Guidance Note EH 40) to be observed. Mild Steel with a coating of zinc bonded by a hot dip or electrolytic process. Stable within normally encountered temperature range. Produces hydrogen in reaction to solutions with acid or alkaline properties (notably with a pH value of less than 5 and greater than 11). Exposed to heat in excess of 900°C (by fire, welding or flame cutting) the galvanised coating will oxidise, to produce copious zinc oxide fumes. Under these circumstances, it is recommended that extraction systems by used, particularly in confined spaces, to ensure that Occupational Exposure Levels are not exceeded, and avoid metal fume fever. In certain situations, particularly after long term storage in damp conditions, galvanised products may exhibit a pale dusty surface coating. This is zinc oxide/carbonate and may be dislodged by handling. Care should be exercised to prevent inhalation. A protective coating consists of a white spirit deposited, water displacing oil film, containing corrosion inhibitors, dewatering agents, petroleum sulphonates, hydrocarbon mineral oil and hydrocarbon solvent. Safety gloves should be worn if contact is prolonged. In case of eye contact wash immediately with plenty of warm water and seek medical advice. 1. The protection of eyes regulations "1974" B.S. 2092, Specification for Industrial Eye Protection. iv) EH 40 - Occupational Exposure Limits 1985.
ii) Industrial Dermatitis: Precautionary Measures (No. 18). 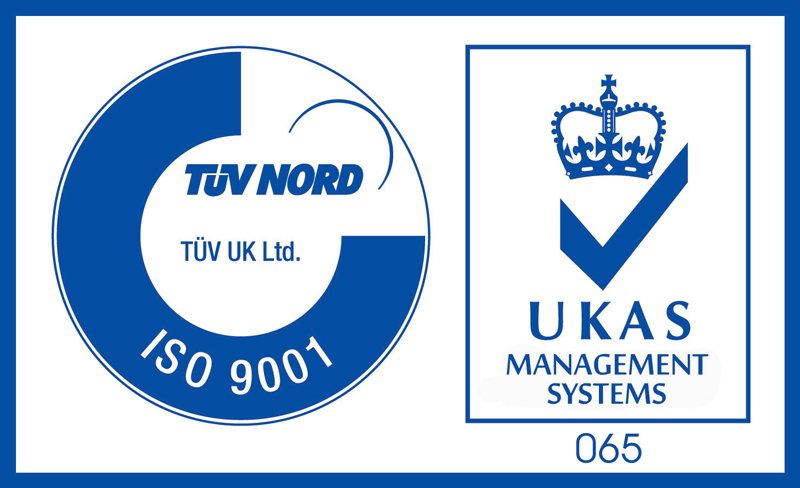 As an ISO 9001 company, we ensure that our management systems and procedures comply with the international standard on Quality Management Systems. We strive to exceed customer expectations by providing a reliable service and quality products at competitive prices. 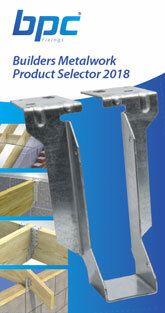 All technical data, descriptions, illustrations and references to British and European standards contained within this brochure are intended for guidance only and shall not constitute a “sale by description”. All information provided is correct at the time of printing. BPC reserves the right, whilst preserving the essential characteristics of the components it manufactures, to introduce at any time modifications in material finish or product design for any reason of a commercial or constructive nature, without notice. The information in this publication is not intended to have any legal effect, wether by way of advice, representation or warranty (express or implied). BPC accepts no responsibility whatsoever (to the extent permitted by law) for any reliance on this publication and you must do so at your own risk. building designer or consultant engineer prior to installation into any building or structure. All custom designed fabrications and connectors are manufactured by the company according to buyers’ specifications and are sold without warranty of any kind.